In my house I have a W.W. I picture of my Grandfather, Howard, sitting cross-legged in the front row of an Army Unit photo taken in France on Armistice Day 1918. He was a great grandfather and man. My grandfather only left Iowa to go to war, and much later in the 1960-70s when my Grandmother made him go to Florida for winters. He is a veteran. I received this photo when Grandpa died back in 1980. November 11, observed in the United States in honor of veterans of the armed services and in commemoration of the armistice that ended World War I in 1918. In 1954 it was renamed from Armistice Day and given the added significance of honoring veterans. I and all at the Law Office of Robert B. Goss, P.C. https://www.attorneyforveterans.com/ want to thank all the men and women who have served our nation. Sometimes I get a call from a veteran who was injured in basic training, and this person is shy or embarrassed about seeking VA benefits. They have NO REASON to be embarrassed – – they are a veteran. I am proud to try to help them with their VA benefits claim. This person is a veteran – – they raised their right hand and joined the United States Military. This person did what over 95% of the U.S. citizens never do – – they offered themselves to protect and serve the United States by enlisting or being drafted into the U.S. Military. My son, Hans, is a paratrooper. I served almost 21 years as a USAF pilot. We both have gone to war. Millions of men and women serve in combat and non-combat. All are veterans. All should be honored. Maybe just say Thank you to your veteran. Serving is difficult. Serving is an honor & privilege. I remember spending many years away from the U.S. Away from my family and kids. Living in a tent in the desert during the war. Living in a beautiful villa in Riyadh, Saudi Arabia, while the bad guys were trying to kill us. Flying airplanes all over the world. My Grandfather talked to me about the military – to make sure I knew it was not all glamorous. He wanted to make sure I understood it was not like a John Wayne movie. He was concerned for his grandson. Veterans know things. My Uncle Pete, Battle of the Bulge veteran, spoke to me too. My cousin Melodie told me she was a little jealous her Dad had spoken to me about the military, as he never spoke to her about the war. Veterans speak to other veterans. There are a lot of things, however, veterans know others will not understand. I have 5 childhood friends I occasionally get to say hi, a few college friends, a bunch of law school friends, and a lot of military friends, both allies and U.S., I talk to. I do not talk a lot about the wars, but with my USAF and USN friend, Vince, & my old EWO, Moe, they know it all. I talk to them weekly, and they know when I just need to talk. Seldom do we talk about the past. Serving together, however, showed me their character and integrity. I trusted them with my life and vice-verse and still do. All veterans, no matter how short or long their service were there to protect the country and protect other people’s freedom of speech and freedom. All veterans deserve to be protected and receive VA benefits available to them https://www.attorneyforveterans.com. 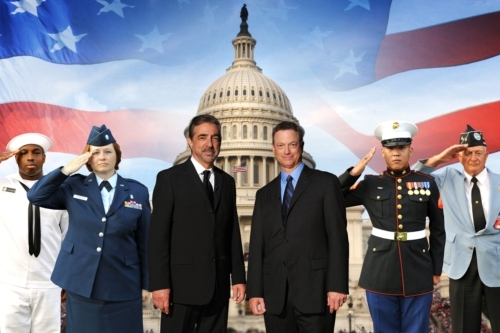 As a veteran, I am very grateful to Gary Sinise , and Joe Mantegna http://finance.yahoo.com/news/first-ever-veterans-day-broadcast-181700503.html for all they do to honor veterans and wounded warriors. If you are a veteran, be proud you did what so few do, you served and protected us all. For others say hi and thanks to a veteran – that means a lot. It is nice to know you care.